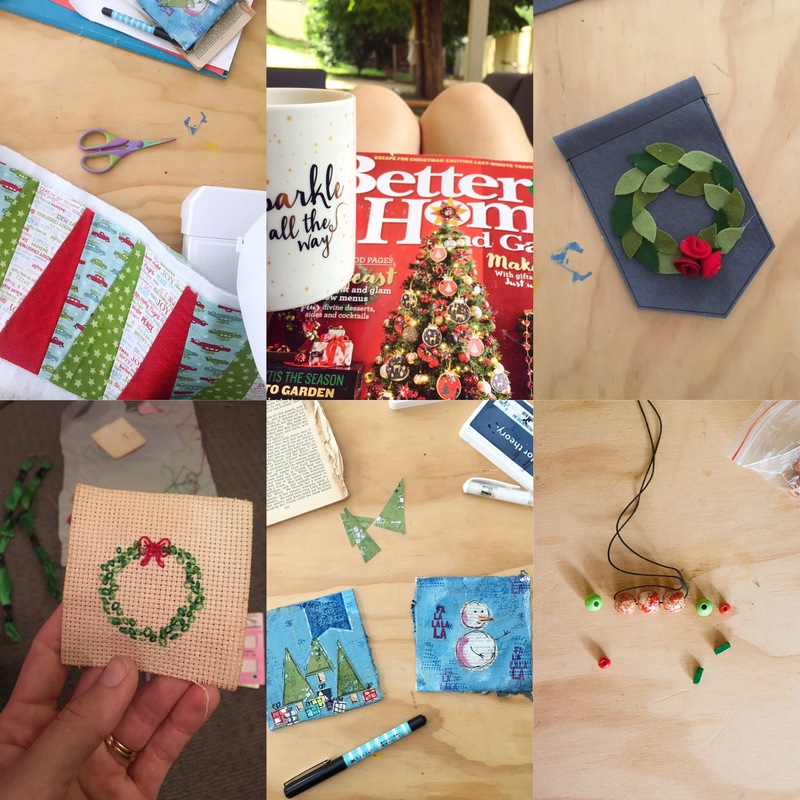 If you’ve been around my Instagram lately, you’ll have seen it’s kind of Christmas Craft Central at our place at the minute. We are busy making and reading and playing our way to a merry merry Christmas, and it’s all kinds of wonderful. I’ve been working a heap, so I’m trying to offset that with plenty of quality time when I am around the smalls. Our advent activity calendar continues to be a hit, as is our various other countdowns and our roster board for who’s turn it is to open what!! Today has been a busy one, with church (and attendant Sunday school breakup party), Christmas shopping, swimming, embroidery, swimming, quilting, swimming, baking and next up on the agenda is getting ready and heading back out to church for our annual carols service. One week until the big red man visits! Who’s ready? I’m getting close. This week, I thought I’d make my link round up all about Christmas!! I’d love to see some of your favourite projects, either that you’ve made, or that you want to make. Drop a link to your fave christmassy goodness in the comments – your own blog links are welcome!